Two cinema legends work together to promote each others movies. 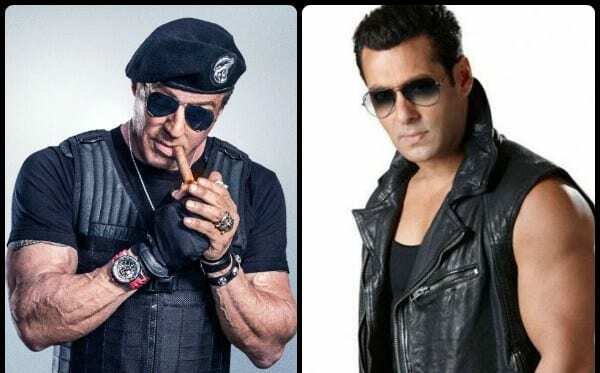 A day after Bollywood star Salman Khan shared a video from Sylvester Stallone’s Creed 2, the Hollywood star has returned the favour, promoting the latest poster of Khan’s Race 3. Race 3 is the third film in the hit franchise Race and it also stars Jacqueline Fernandez, Saqib Saleem, Daisy Shah and Anil Kapoor, apart from Salman and Bobby. Creed 2 will have the star return as Rocky Balboa. The film will also feature Michael B Jordan. Directed by Steven Caple Jr., the film is slated for a November 2018 release.